Do you want a NO PREP Bulletin Board for November? Do you want to display student work with a theme? If you said YES, there is a NO PREP Bulletin Board for Middle School Math that is creative, fresh, and engaging for grades 6 to 8. This is a NO PREP Bulletin Board ready to PRINT & GO! 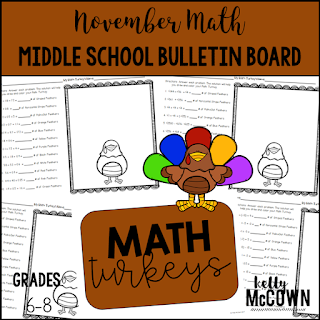 Students create Turkeys through Math and you display their results on a Bulletin Board. 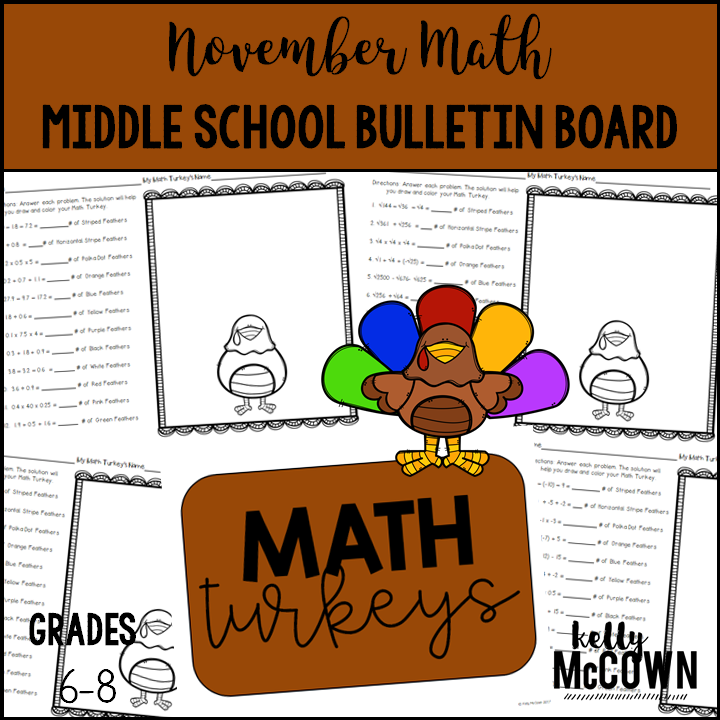 Students love creating these Math Turkeys for November! -Rubric is included for EASY grading! This has been an easy solution for me to create Math to display on the Bulletin Boards in the hallway at school. There are many different versions of the worksheets, so it is easy to differentiate for all of your math classes. Students love being creative and administrators love seeing the Math in the hallways. If you want your students to be proud of their work, display it for all to see. This will in turn help build rapport with your students and they will enjoy learning Math more.